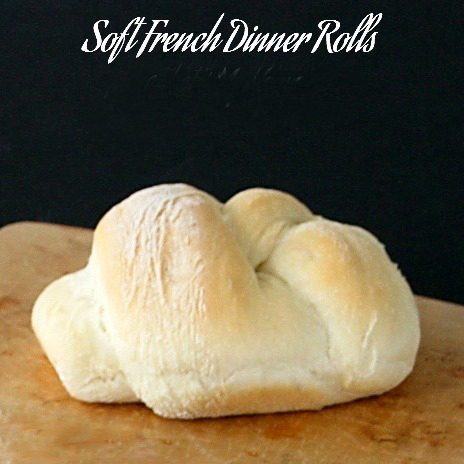 These are a great dinner roll when you need something fast, they can be done in about a hour and a half if the yeast co-operates as it is supposed to. Make sure your yeast is really active when you add the flour, this will help to speed up the raising time. 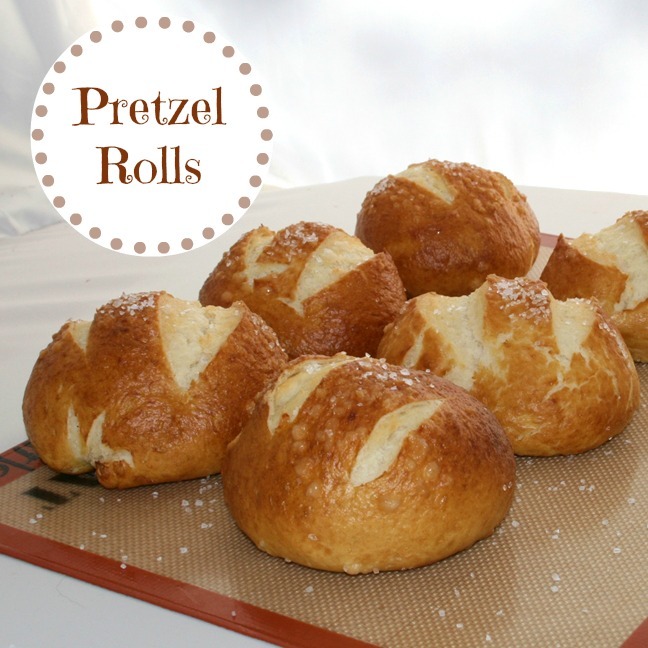 I decided to make these at the last minute when friends came over for dinner tonight and they came out of the oven just 5 minutes before they walked in the door. I had intended to take a picture of the rolls in a beautiful basket I had all ready to go and after I shot these pics above I totally forgot to do it. You guessed it, we ate the rolls so not possible to do it now. 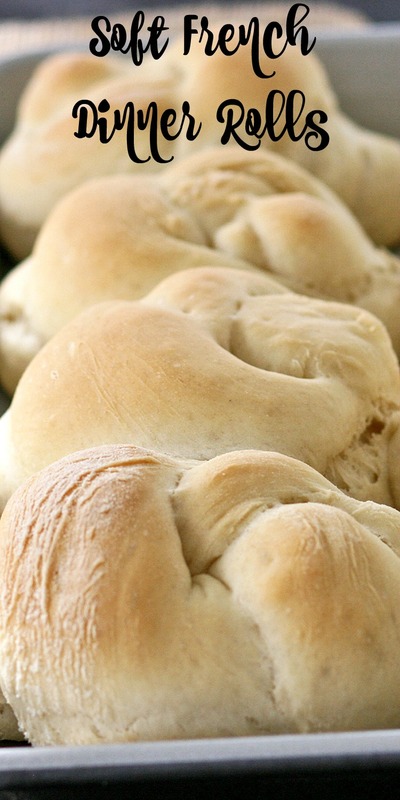 Soft yeast rolls are quick and easy to make. Can be made in about 1 hour and 30 minutes. Add the warm water to your mixer bowl fitted with a dough hook attachment. Add the yeast and sugar. Let set for 5 minutes. Add the oil, flours and salt. Beat with a dough hook until dough comes together. If needed add a little more flour. Knead for 5 minutes or until smooth and satiny. 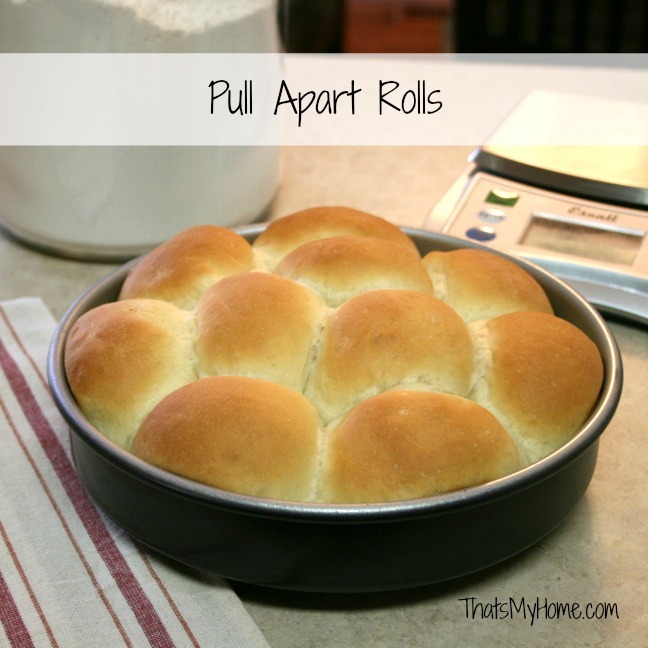 Deflate dough and cut into 10 - 12 pieces. Roll into a rope. 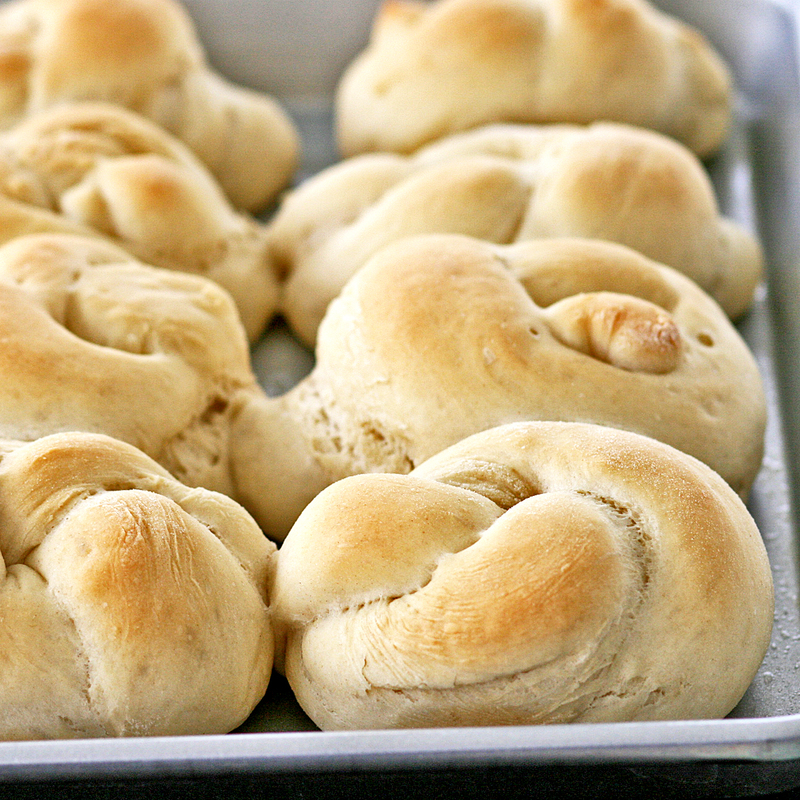 Tie a knot in the dough and place on a greased cookie sheet. Cover and let raise again. Preheat oven to 350 degrees. Bake for 10 - 12 minutes.